So, how can you reach the city center of Sofia? (without getting on a fake taxi, being cheated by a real taxi driver, getting lost in a suspicious neighborhood, being robbed on the bus, being eaten by a stray dog, etc.) Оh come on! I am just messing around, don’t ya get scared just now! Let me guide you through the whole thing, because it’s not even half as scary, as you might think. 😉 The airport in Sofia is located only 10 km from the city center and here are the best ways for you to reach it. Probably the best way to reach the city center is by bus. The number of the bus line is 84 and it stops at both Terminal 1 and Terminal 2. T1: The bus stop is just outside the “Arrivals”, a little bit to the right. You will see it right away. T2: it’s on the right side of the “Arrivals”. How often does the bus come? During the weekends the bus comes in every 20 min, otherwise in every 10 min. How much does the ticket cost and where to buy it from? The price of the ticket is 1.60 lev (80 cents! )* and you can either buy it from the driver, or at the airport (from the news stands). It’s better if you ask at the airport and buy it before getting on the bus, because very often the drivers have no tickets left. When you get on the bus remember to punch your ticket! You can carry with you up to 2 pieces of luggage with sum of their dimensions up to 140 cm. (e.g a suitcase 60x40x40cm). For any piece larger than that you will need to punch an additional ticket. It’s advisable that you don’t get on the bus without a ticket, but in case you do and get caught – the fine for riding the bus without a ticket is 20 leva (€10). Where will the bus take me? The bus will take you to Orlov most (Eagles’ Bridge). It’s the last station. From that point on you are basically in the city center.The whole ride won’t take you more than 30-40 minutes. No, sorry, that’s the best way to reach the city center! Since April 2015 the metro in Sofia goes to the airport, which is pretty amazing! And what is more – it speaks in English! T1: If you are arriving at T1 you can take the free airport shuttle to T2 which runs every 30 minutes or simply use bus #84 to the city center. The shuttle bus stops, located in front of the terminal buildings, are designated by signage and pavement markings. How much does the ticket for the metro cost? The price of the metro ticket is 1.60 lev (80 cents!). If you have to switch to the other line, you don’t have to buy a new ticket, as long as you don’t get out of the metro station. What are the working hours of the metro? 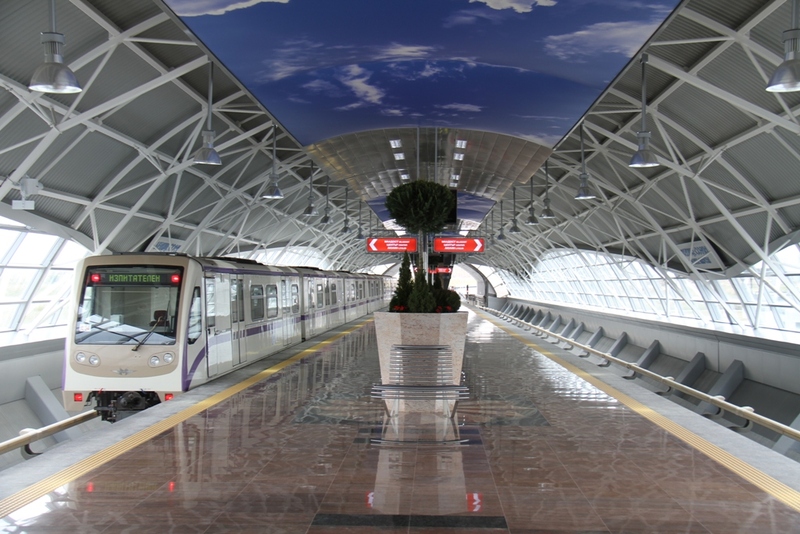 The metro trains on the route to the airport operate from 5:30 a.m. to midnight on weekdays and weekends/holidays. Taxis in Bulgaria are not that expensive as you might think. Here you can see the prices of OK Supertrans (ОК Супертранс), which we used the most: https://www.oktaxi.net/index_en.php You should be careful, because there are taxis, which imitate the logo of the OK and their phone number. If you are getting on a taxi from the airport (no matter Terminal 1 or 2) to the city center you should pay around 15 leva, tops 20 (so around €10, not more)! Have that in mind. You can even ask the driver before getting on the taxi – “How much would it cost me to get to …?” Another thing you could do is look at the price sheet on the windshield. Bulgarian taxi drivers can be tricky, so you have to pay attention! While you are at the airport you can also ask a local on which taxi you should get. What? Locals don’t do shuttles! The above listed ways are the best for you to travel from the airport to the city center of Sofia! * The price of the ticket increased from 1 lev to 1.60 in April 2016. 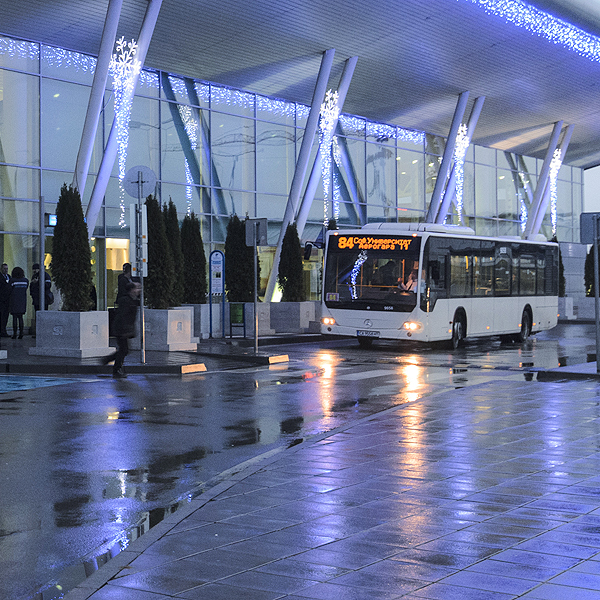 Photos – Sofia Airport and Metropoliten.bg. You forget to mention that the free shuttle buses between the terminals only operate during the day, so if you arrive at 2 – 3am, bad luck! Taxi is your only way to get to your destination! New price for tickets (bus, metro etc) 1,60 leva =0,85 euro. Previous Post Aylak – do you have that word in your language?